The inflow of foreign investment increased by nearly 31 percent, with USD 4.12 billion disbursed, and total revenue from retail sales and services rose 12 percent, he added. 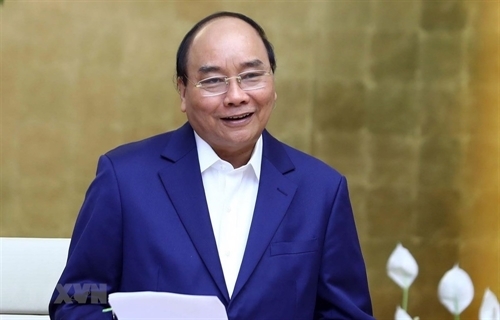 During the reviewed period, Vietnam’s exports continued to expand amidst the global economic slowdown, helping the country to enjoy a trade plus of USD 536 million in the first three months of 2019, PM Phuc said. Although the global economy was predicted to slow this year, international organizations still had a positive outlook for Vietnam, he said, citing growth forecasts from the Asian Development Bank (ADB) and the World Bank (WB) of 6.8 percent and 6.6 percent, higher than the predicted average growth of 6 percent in Asia-Pacific.